Do I Need Car Insurance in Extenuating Circumstances? Car insurance is always required if you own and operate a car on public roads. Even so, it is common for people to ask, “but what if?” An endless amount of life circumstances can cause people to wonder if they need car insurance. Do I Need It If I Do Not Own a Car? Not owning a car may lead you to believe you do not need car insurance. However, if you are a licensed driver and are planning on driving any vehicles, car insurance is still required. You may not own a car at the moment for many possible reasons. Being a teen driver, the economy or living in an urban location may get in the way of (or keep you from needing) car ownership. You should still retain some car insurance for the following reasons. You may need liability. 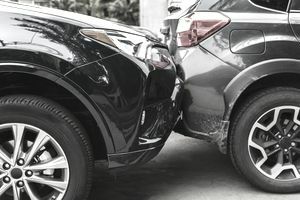 Coverage for liability may not be necessary if you never get behind the wheel of a vehicle, but if you ever drive someone else's car, you could be found liable in the event of an accident. Taxi-takers of the world, listen up: Even car passengers need coverage for medical. Coverage for medical in case of injury in a car accident is essential. Sometimes primary health insurance carriers will cover injuries in car accidents, but more and more health insurance companies exclude car accidents. Avoid high-risk rates when purchasing your next vehicle. Lapsing on your car insurance for just about any reason means you will be a high risk the next time you go to buy car insurance. One way to help you stay covered while you don't own a vehicle is to be added as a driver to a friend or family member's policy. Another would be to purchase a Named Non-Owner car insurance policy, which is cheaper than a traditional car insurance policy but still provides coverage for liability. Named Non-Owner policies do not cover physical damage to any vehicle. Do I Need It If I Lease a Car? If you are leasing a car, you need car insurance. Technically, you do not own a leased vehicle; however, you are responsible for insuring it while it's in your possession. Not only is insurance required, but you’ll need to have full coverage. Gap insurance is also highly recommended and often required when leasing a car. Do I Need It If I Cannot Afford Car Insurance? This is the easiest and toughest one to answer. It can be challenging to manage the high cost of car insurance premiums, but it's essential to make car insurance one of your highest priority bills. It's against the law to drive a car without insurance. If you’re having a tough time financially, you can reduce your coverage to the bare minimum, shop for cheaper car insurance rates, and avoid extra service fees by paying on time. In the long run, canceling your car insurance will not save you money. A potential accident, traffic violation, or high-risk insurance rate will leave you wishing you had just kept your car insurance. Do I Need It If I Am Sick and Can't Drive? Even when you are sick or disabled for an extended period, you should maintain car insurance if you plan on driving again someday. Retain coverage on your vehicle, especially if you are having other people drive it. Another option is to get listed as a driver on a friend or family member's policy to avoid high-risk rates in the future. Being listed on someone else's plan will also provide you with the necessary medical coverage in case of a car accident. Do I Need It If My Car Broke Down? Similar to the other scenarios, if you only have one vehicle and it is broken down, you'll want to keep car insurance on it. Hopefully, your car will not be down for long. Extending coverage to a car needing repairs for a couple of weeks is a whole lot cheaper than purchasing a high-risk policy due to a lapse. Do I Need It If I Sold My Car and Have Not Found a Replacement? It works the same if you are in between cars for a short period. You are better off lowering your coverage down to the bare minimum and keeping up with the payments verse canceling your policy. An alternative here would be to get listed as a driver on a friend or family member's car insurance policy until you find a replacement. Do I Need It If I Am Deployed in the Military? Well, you’ve done it: you’ve brought up the one scenario in which it is perfectly acceptable to stop having car insurance. Active duty military personnel are not required to have car insurance while deployed overseas. A family car, still driven by the family at home, will still need to be insured. This exception is for single people, or a husband and wife both deployed and leaving their vehicle behind. A returning military serviceman is not considered high risk when going to purchase car insurance again. As you can see, it is rare not to need car insurance. It is every licensed driver's responsibility to maintain some form of car insurance. Whether it's being listed as a driver on someone else's policy or taking out a Named Non-Owner policy, at least you know you'll be covered. And you won't be forced to pay sky-high insurance rates when you go to get insurance in the future.